The attorneys at Mashel Law are skilled and well prepared to service your business formation, transactional and litigation needs. Many small businesses do not fully understand the need for a transactional attorney until it is too late and they are already trapped in a lawsuit. Litigation consumes valuable time and drains financial resources which would be better put towards making money and growing your business. Having a shrewd, knowledgeable, and detail oriented attorney will undoubtedly help minimize risk and prevent unnecessary headaches for you and your company right from the beginning. Simply put, the emphasis you place today on preparing your company’s organizational documents, employment agreements, and purchase agreements will undoubtedly pay dividends for you and your company in the future. We at Mashel Law are responsive to the needs of small businesses and start-up companies. Our attorneys will promptly set up and draft any and all required formation documents including, but not limited to, certificates of incorporation, shareholder and partnership agreements, operating agreements, stock purchase agreements, membership purchase agreements, and corporate by-laws. Our attorneys will customize employment contracts, and employee handbooks and policies and procedures that best fit your business model and goals. We can represent you or your company in business mergers and acquisitions, buy-sell Agreements, contract review, and the organization and dissolution of Limited Liability Companies (LLCs), S corporations, C corporations, and partnerships. Our attorneys also have a proven record in aiding in the resolution of complex shareholder and partner disputes. The last few years there have been sweeping regulatory changes to the healthcare industry both in New Jersey and in the national arena. Because of the fluidity of healthcare regulations, medical practitioners often need to consult with an attorney. Fortunately, our lawyers at Mashel Law have considerable experience representing physicians and medical practitioners in both transactional and litigation matters. We routinely draft and negotiate employment agreements, billing agreements, and management agreements between individual physicians and medical practices, hospitals, ambulatory surgery centers, and surgical practices with an eye towards compliance with the Anti-Kickback Law, Stark Law, Medicaid and Medicare, and Affordable Care Act. Additionally, we can provide personal attention and guidance on the organization, structure, and drafting of your practice’s operating agreement, partnership agreement, or by-laws. We are also skilled litigators and are available to assist you in all litigation matters related to the operation of your successful medical practice, medical billing company, or medical management company. This includes, but is not limited to, representation in litigating either the enforcement or dissolution of restrictive covenants, defense of employment discrimination, whistleblower and wage and hour claims, as well as general commercial disputes. Increasingly, in our society, the primary recourse for many business disputes is the court system. At Mashel Law, our most important concern is the end result for our client. 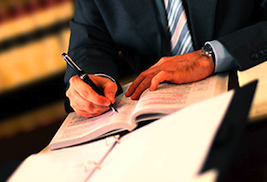 Therefore, we candidly assess the benefits and risks of litigation at the outset of every case. Protecting your ownership rights and business interests is of critical importance in our country’s ever changing and aggressive business climate. From start to finish, the attorneys at Mashel Law provide skilled and aggressive business litigation, representation in breach of contract actions, consumer fraud actions, partnership and shareholder disputes, unfair trade practices, arbitration matters, and commercial real estate litigation. When the decision is made to litigate, our attorneys apply themselves with vigor to achieve the best possible outcome. Mashel Law offers something larger firms do not – personal attention, reasonable rates, and singular focus on our client’s needs. If you would be interested in discussing how we may be able to best serve you and your company’s’ needs, call us at (732) 536-6161 or fill out the contact form on this page.